Hi! 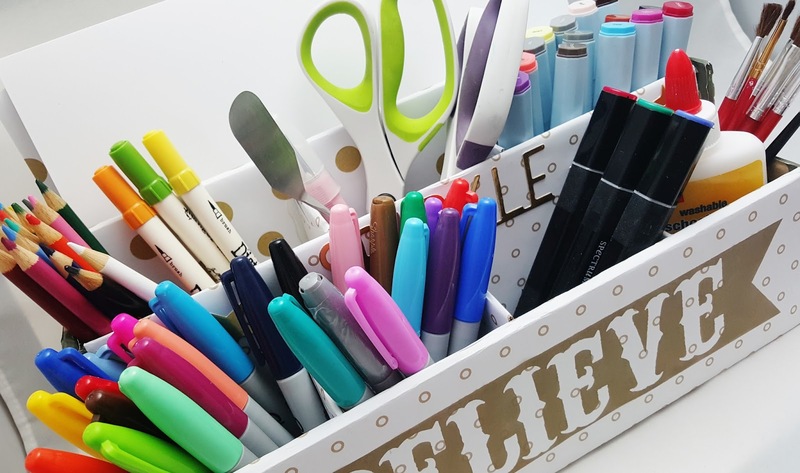 Are you always looking for organization ideas for your craft room? You have come to the right place! I created this desktop organizer for my son because we have limited space and all his color pencils, crayons, markers are always scattered all over the table (not to mention my craft stuffs too!). So as soon as I finished this project, I know I could definitely use another one of this. Step 1: Cut cardboard into following sizes and wrap and glue pattern papers around each of them. Step 2: Cut cardboard dividers, two of 4 3/4 x 2 1/8" and three of 3 1/4 x 2 1/4". Same thing, wrap and glue pattern paper around each ones. 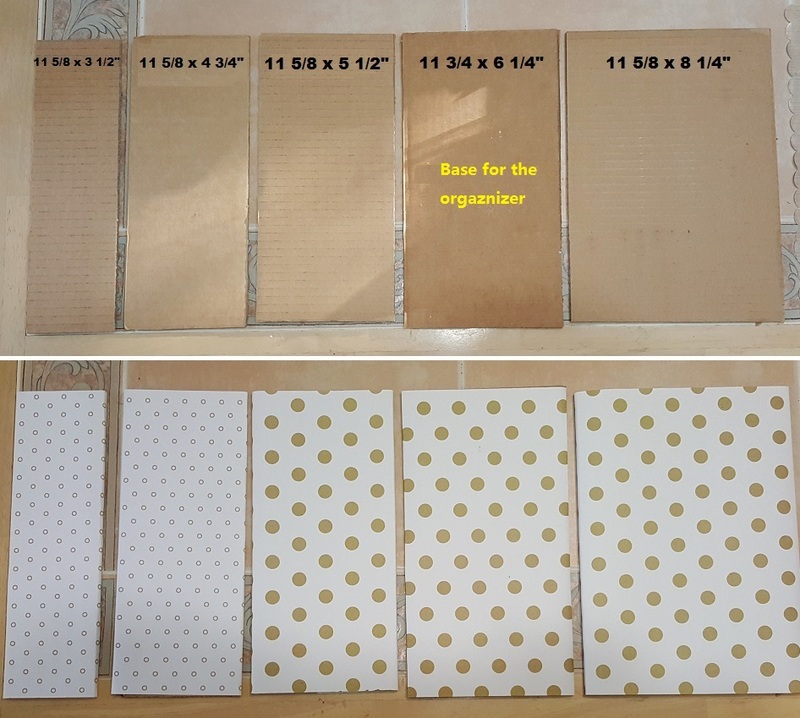 Step 3: Assemble cardboard pieces from Step 1 and Step 2 together with hot glue gun, arrange the space you prefer with the cardboard dividers. After that trace the shape of the sides (that looks like a staircase design) and cut the shape out. 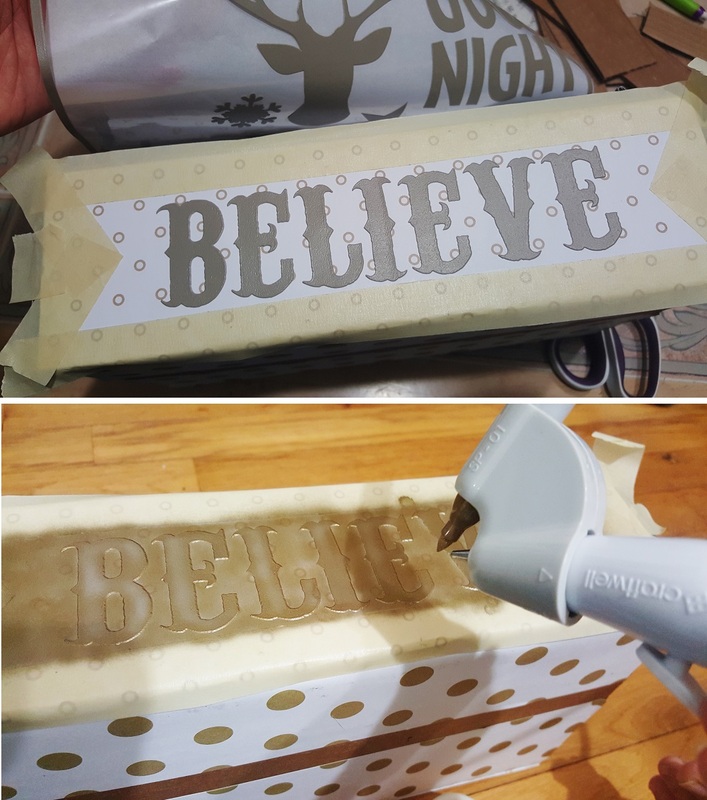 Step 4: Use H&amp;R stencil 'BELIEVE' and mask out the unwanted area for air-brushing. Remove masks and let dry completely. 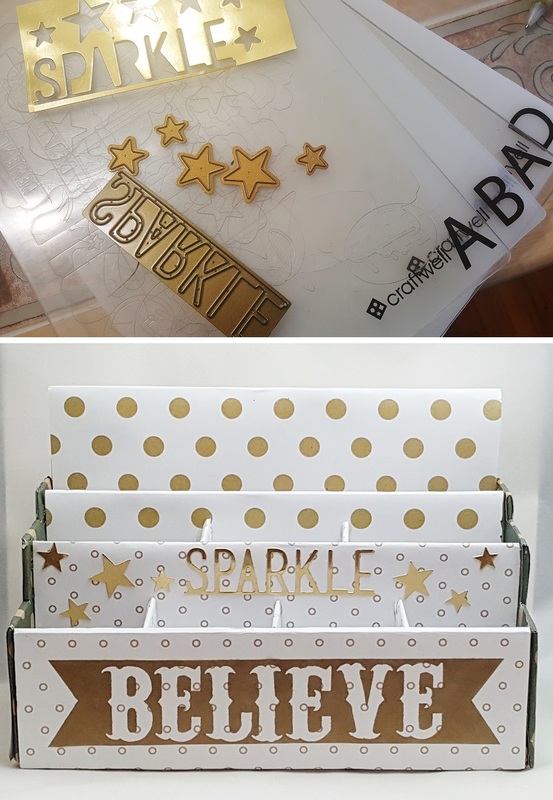 Step 5: Die-cut with Cut 'n' Boss the word SPARKLE and star shapes in gold foil card stock. Embellish the organizer. 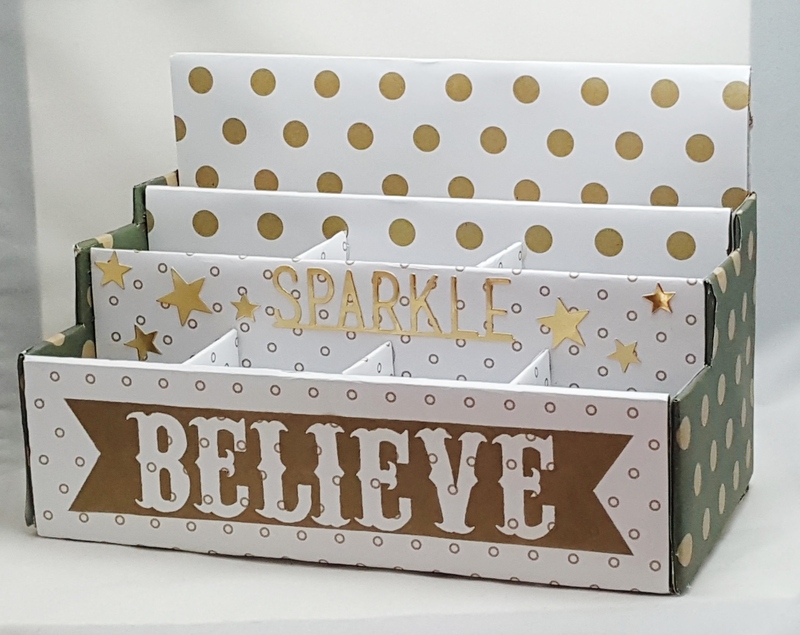 Here, you save some bucks by DIY this organizer and you can personalize it to the way you want it! Don't forget, you also help saving the environment by reusing those cardboard boxes you have. :) More importantly, you will have fun making it and if you make it for your little one, they will appreciate your effort. My son loves it so much he keeps thanking me whenever he uses it. It's all worth it. That's all for today, I hope you like the project and see you next time. Have a wonderful day!